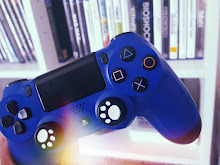 Women aren't portrayed in the best light in video games, we seem to be made out to be weak or wear very little body armour, games don't tend to be focused solely on female characters (yes a few of my favourite ones actually do though) but when I come across a game with a strong headed woman I usually fall in love with their character. As a child who played video games, there weren't many females protagonists, Lara Croft was the most popular one I can think of right now and people didn't care that she was a woman they just enjoyed playing the game, the reason I mention this was because there is always going to be someone moaning about women ruining video games, they can't seem to grasp that they don't have to play the game if they don't like the look of it even if it's for a silly sexist reason. 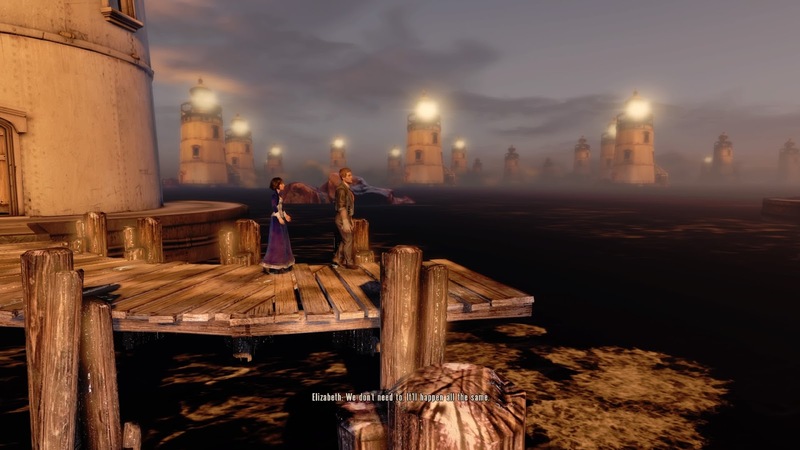 We get to play the main Bioshock Infinite game as Booker DeWitt, a man hired to find and retrieve Elizabeth in order to wipe away his debts, DeWitt was desperate and accepted but had no idea the cost of this choice or what journey it would take him on to find out who Elizabeth truly was, When DeWitt meets Elizabeth he finds out how headstrong and stubborn she is. she's been trapped in a tower most of her life under the protection of a mechanical songbird which is very similar to the Big Daddies and in a world of steampunk a lot of mechanical features will try and kill you. Whilst getting Elizabeth out of the tower the Songbird tries to stop them but they manage to get away, Elizabeth ends up trusting DeWitt pretty fast and I think this has to do with the fact that he is trying to protect her and thinks he wants what's best for her (we all know that isn't completely true at first though). From the start of her journey to a new place Elizabeth's character changes, not in a bad way at all, in fact, she because more and more sure of what she wants and starts making her own choices for once in her life. Being trapped in one place for all that time stopped her from being who she really wanted to be and DeWitt helps her find who she is even if he is saving her for his own benefit. She is full of knowledge thanks to all the books she has read and is great at picking locks a skill that is vital to the game. Doors which she unlocks for you often lead to VOX tapes which explained the story further, they're a very important part of the game so by listening to them you will be able to piece together who Elizabeth and DeWitt's truly are. I've written a review on this game before that actually explains how this game works because it's so complex and if you're not paying attention to what is going on you will miss the whole point of the game. The universe in which Elizabeth and DeWitt are in now is one of two main universes the first one was when DeWitt refused to be baptised and went on to have a baby called Anna who is in fact Elizabeth. 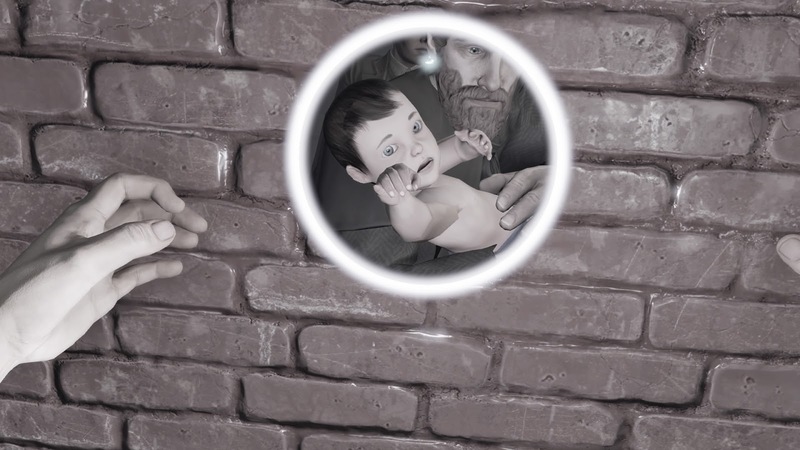 The second was when DeWitt chose to be baptised and become Comstock, a man willing to stop at nothing to stay a leader, a man willing to take his child from another reality thanks to foreseeing what lies in the future for him, Elizabeth's life was decided long ago when she was just a baby. But there are many many more universes within the game, in fact, there have been many times that they have tried to stop Comstock together and this last main one they're in is the one that they have the most chance in stopping him. In order to travel to these different universes, they always start with a lighthouse which is what we see at the start of the game then as we get towards the end we see many different versions of them outside different lighthouses that DeWitt has traveled to, this is where Elizabeth explains it all to DeWitt. Elizabeth: It always starts with a lighthouse. Booker DeWitt: I don't understand. Elizabeth: We don't need to. It'll happen all the same. Elizabeth: Because it does. Because it has. Because it will. I have heard a lot of theories about Elizabeth and DeWitt's relationship even before I finished the game, some of which were in favour of them falling in love despite DeWitt being Elizabeth's father, I personally never saw this happening or a possibility of it happening, it's clear as the game goes on that DeWitt cares for her like a father would and wants to protect her and she looks up to him as more of a father figure, she never had a proper one growing up especially whilst being locked away and isolated from her father. 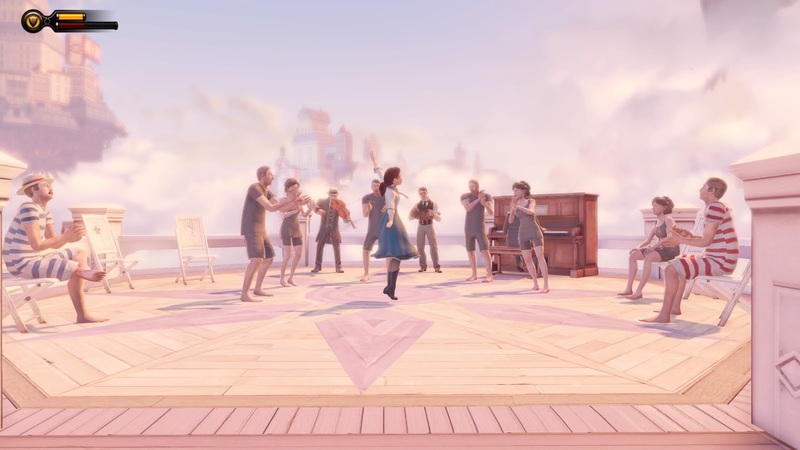 When DeWitt and Elizabeth escaped the Songbird and we watched her dancing on the pier, I felt like DeWitt may have been regretting his decision to use Elizabeth to clear his debts but pushed them aside for his own foolish needs. I was always hoping for a happy outcome for both of them but the game makes it clear that in order for the cycle to be broken DeWitt must die and when he is drowned by a number of different Elizbeth's he doesn't put up much of a struggle. 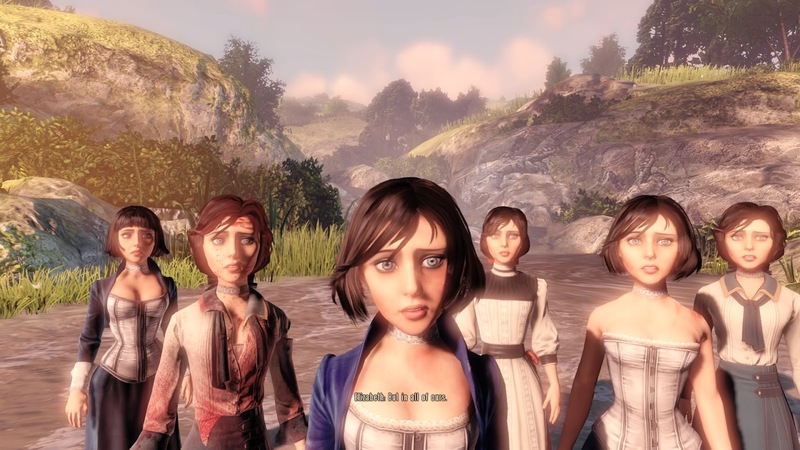 The ultimate choice of this left me with a lot of questions, a lot of them that I could imagine leading Elizabeth down a dark road and I wouldn't want that for her as she has suffered enough. I think Elizabeth cared or loved for DeWitt in one way or another and he showed her that she could be happy, but I would have loved to have seen what Anna could have been like at the same age as Elizabeth, it's clear that she would have acted differently as she wouldn't have been locked up nor had powers but she would look the same. Elizabeth has had to face so much in such a short amount of time, none of it her fault, she was a victim of a man battling with himself to have power and deserved so much more, she was the one who ended up showing DeWitt the way and showing him the truth, she never got to have a childhood or to experience what every typical teenager would. Her determination to help others and stop the bad from happening is what makes her who she is. 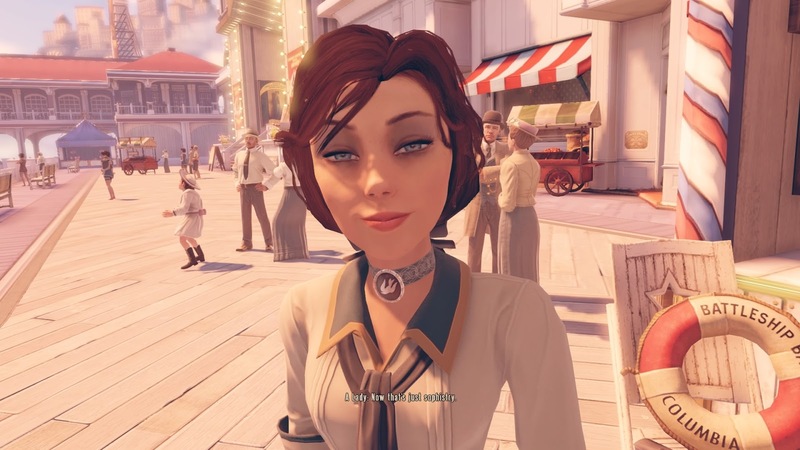 In a twist of fate DeWitt giving Anna away made her into the Elizabeth many of us love today, she made her way in a dystopian world and saved her own father from becoming someone he would have despised she is the true hero which is what the game purposely wants the player to feel. 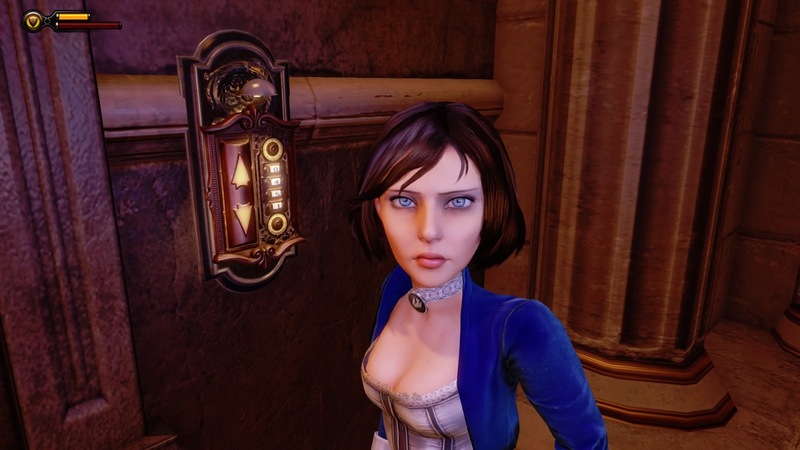 Bioshock Infinite is a must play especially if you're looking to play a game with a strong female character in, yes it's very different from the first two games bet it sets up the story for the first two when you come to play Bioshock Infinite DLC (which is a must), you will come to see Elizabeth in yet another light in the DLC which makes her character all that more interesting. Elizabeth will always be a child at heart within the game, she is very likable and willing to help those who deserve it, although she has faced so much in her life she doesn't let that trauma define who she is.